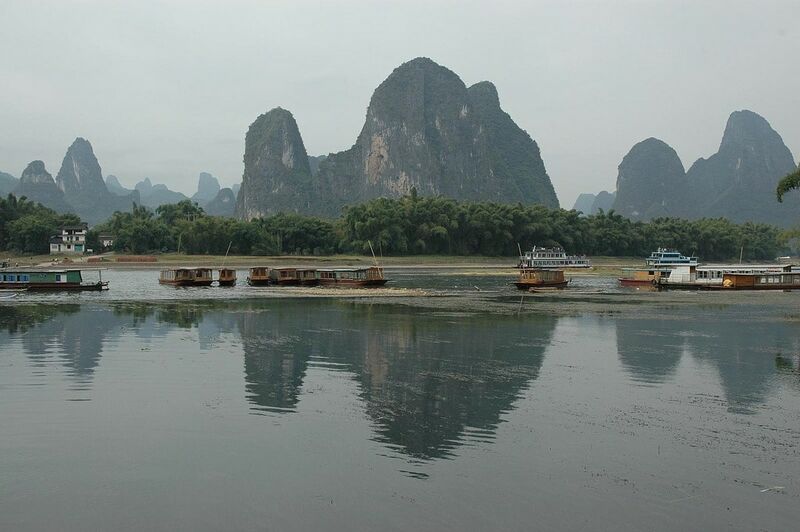 If you’ve ever spent 12 hours on an uncomfortable bus then you may have some sympathy for my travels last weekend when I visited Yangshuo. 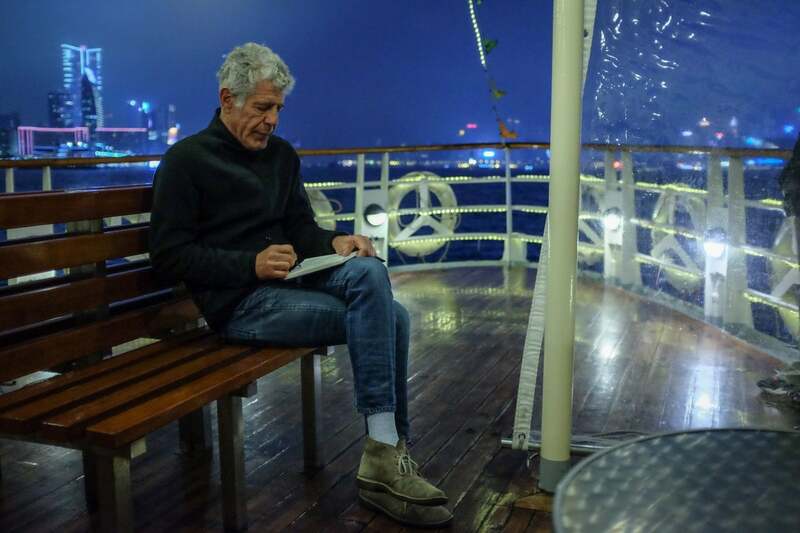 Coupled with the discomfort of 5ft long metal bunk beds and poorly surfaced freight roads traversing China’s southern interior then you know you’re in for an unpleasant journey. Experiencing this twice in 3 days was verging on the bounds of my tolerance and I certainly wont be in a hurry to repeat it. That said the destination was just about worth the discomfort! 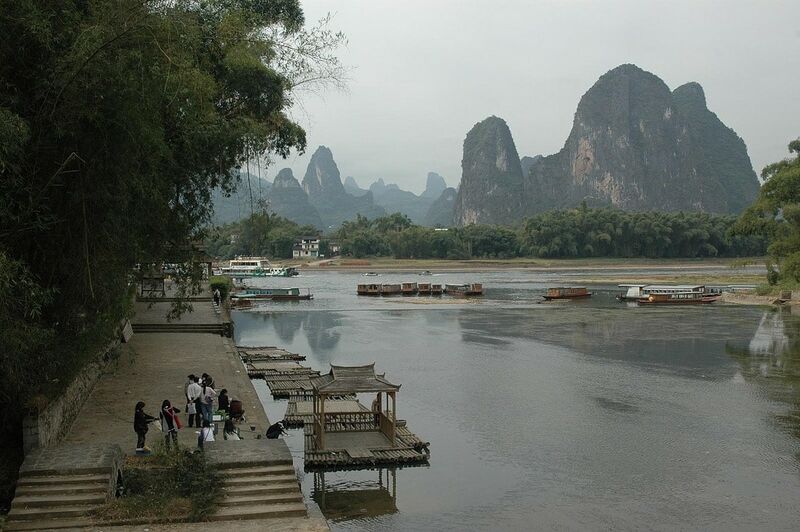 Surrounded by karsk peaks the spectacular back drop of Yangshou is located in Guilin, Guangxi Province, Southern China. My company had arranged a weekend trip there so about 70 of us from various departments piled into two buses on Friday night after work which took us on the tortuous journey arriving the next morning (having got stuck in heavy traffic overnight). 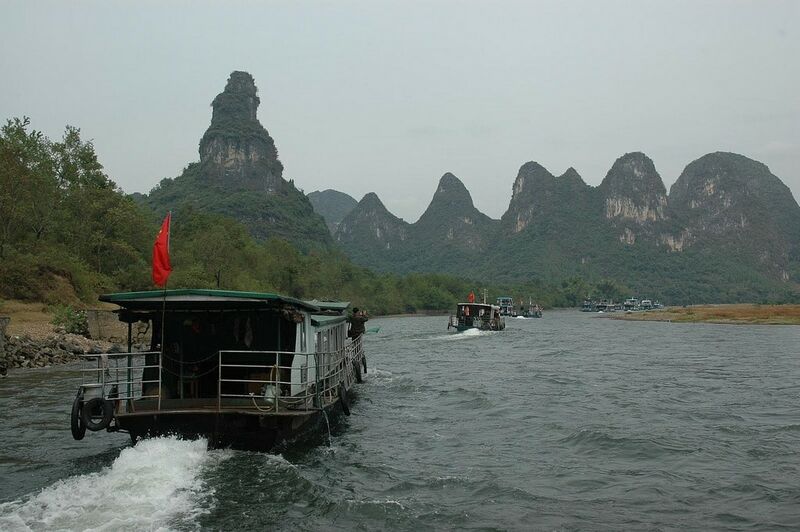 Our first destination was a trip on the famous Lijiang River which is featured on the back on of the 20 Yuan bank note. With everyone fairly bleary eyed this was the perfect way to begin the day with the scenery certainly being an eye opener. 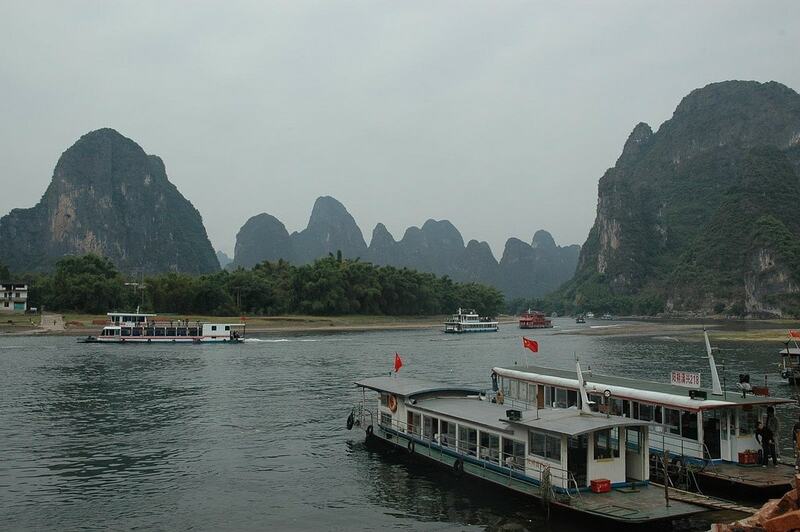 Although the area now clearly caters for the tourist industry as it’s primary source of income it is still significantly poorer than the larger cities which was a new side of China to me since most of my time has been spent in the massive mega-cities. 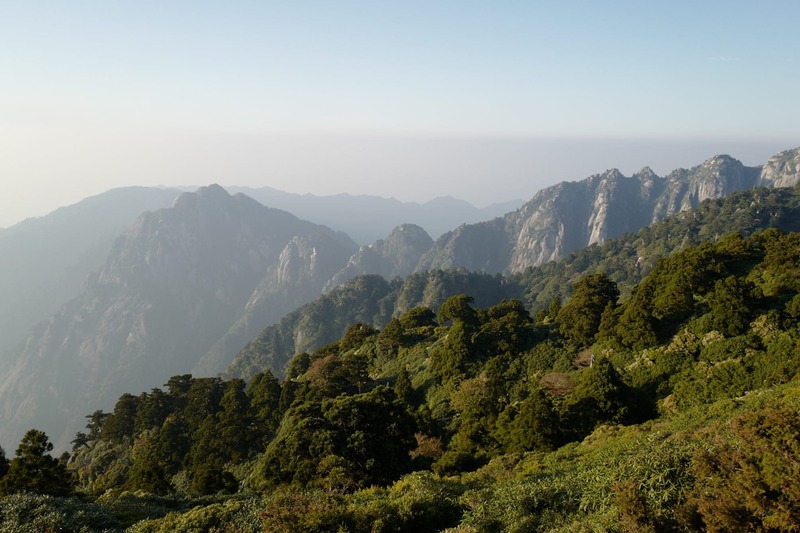 The main thing which still resonates with me everywhere I go in China is the rapid development going on, often at the expense of the natural environment and done at such a pace that the quality is pretty bad. 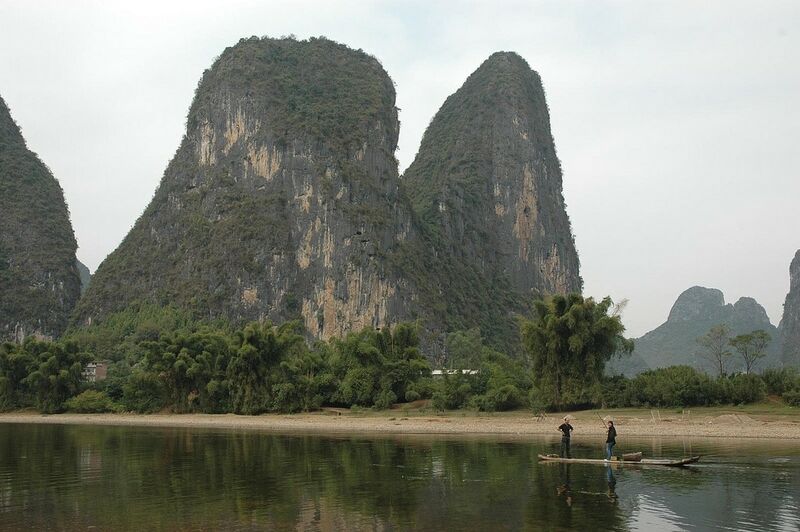 Whilst our boat (along with about a hundred others) slowly meandered down the river most people were busily snapping photos of each other and the landscape in predictable Chinese style. The weather was a bit overcast but I think my pics came out OK.